Winter Fishing is here with great low rates and lots of options! At ProFishNC Charters we fish Year- Around due to our dynamic fishing opportunities (the Cape Fear River Confluence). We are kicking off our Winter Fishing Charters this month with a Fishing Charter rate of $275 for a 1/2 day UP TO 4 People on Fishing Vessel No Banannaz (December 15th through March 1st)! You may also use this rate in fishing charter gift cards that do not expire. We fish three different areas in the winter time fishery and each is a unique fishing charter experience. The first option is offshore fishing Topsail Beach, offshore fishing Wrightsville Beach, offshore fishing Carolina Beach and offshore fishing Wilmington, NC. On our 1/2 day Offshore winter fishing charters we go in the 3 – 5 mile range bottom fishing Black Seabass, Tautog, green-eye sharks and Porgies. 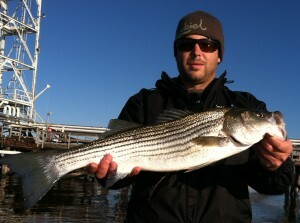 Its is a little cold on the water but with the right clothing this is a winter-time fishing charter favorite! The second option is inshore fishing Topsail Beach, Inshore Fishing Carolina Beach, Inshore Fishing Wrightsville Beach, inshore fishing Surf City and inshore fishing Wilmington, NC. On our inshore fishing charters in the winter we use a slower approach and mainly cast dead and live shrimp, cut menhaden and cut mullet near oyster beds and under deep water docks. We target big red drum, black drum, sheepshead and speckled trout. We also sight-fish red drum on the flats at low tide as the red drum pull up on the mudflats to warm up and feed in the winter on the low water. The third option is Cape Fear River Striped Bass and Red Drum Fishing in our beautiful downtown Wilmington stretch of the Cape Fear River. Our Striped Bass Fishing Charters are by far the wintertime favorite as we have a unique Striped Bass Fishery with river run stripers that do not reach the ocean. They are catch and release only; however, are a fishing experience everyone should enjoy at least once. 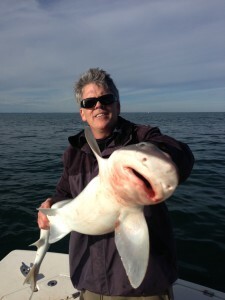 We also offer Year Around Corporate Fishing Charters that cater to workplace “team building” and just plain fun fishing. We fish the corporate fishing charters in a “tournament style” where we have points for Largest Fish, First Fish, Ugliest Fish, Smallest Fish, Last Fish and Most Fish. We are affiliated with many charter fishing companies and charter fishing captains that allow us to fish a very large number of clients at the same time. 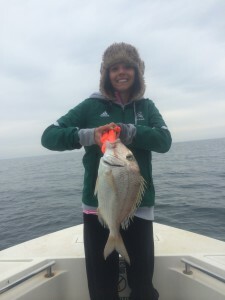 Give us a Call Anytime to Book A Fishing Charter or just to discuss your fishing charter options. We are still offering Christmas Fishing Charter Gift Certificates at our Winter Time Rates that we honor year around. Call for Details! This entry was posted in Fishing Reports, ProFishNC News, Uncategorized and tagged NC, Winter Fishing Charters Cape Fear River, WInter Fishing Charters North Carolina, Winter Fishing Charters Topsail Beach, WInter Fishing Charters Wilmington on December 7, 2015 by admin.